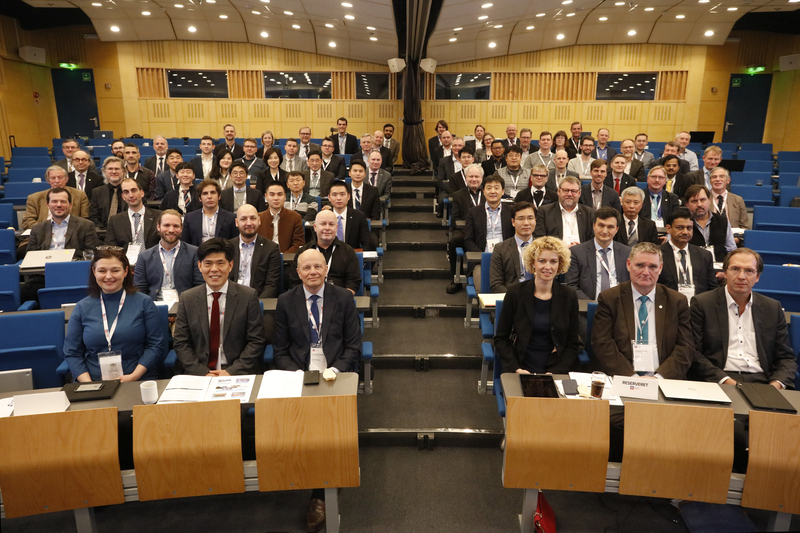 The ninth e-Navigation Underway International conference was held from 6th to 8th February 2019 on board the DFDS ferry M/S Pearl Seaways, during which time she sailed from Copenhagen to Oslo before returning to Copenhagen. The theme for the conference was Benefits and Barriers when Implementing New Technologies. Welcoming remarks were given by the conference facilitator, Astrid Haug, and opening addresses from Andreas Nordseth- Director General of the Danish Maritime Authority, Francis Zachariae- Secretary-General of IALA, Mr. Kitack Lim, Secretary General of IMO, and Annette Dybdal Fenger- Director Danish Maritime Authority. A series of 21 presentations were given under the broad themes of The Industry Perspective – Benefits and Barriers when being a first mover, Regulation and Standards, The Port and Coastal State and Cyber Security. This was followed by a signing ceremony that established the Maritime Connectivity Platform Consortium (MCC) as a neutral and independent group of interested parties that will coordinate the provision of guidelines and standards to maritime navigation and transportation systems. The need for standards persists and all stakeholders, including industry, should continue to bring harmonized standards forward. Current and future technology should increase the potential of humans to work with technology to improve safety. It is important to share data with as little restriction as possible. Consideration of cyber security must be an integral part of technological developments and implementation. VDES is important and SAT downlink is essential to improve global connectivity. All ITU Member States are encouraged to provide support at WRC19. The European Maritime Simulation Network has been proven useful in identifying unforeseen consequences of new technologies and such initiatives should be sustained. An invitation was issued to the e-Navigation Underway – Asia-Pacific 2019 conference to be held in Seoul, Republic of Korea, September 2019. The presentations from the sessions are provided on the IALA website at https://www.iala-aism.org/news-events/e-nav-underway/e-nav-underway-international-2019/.